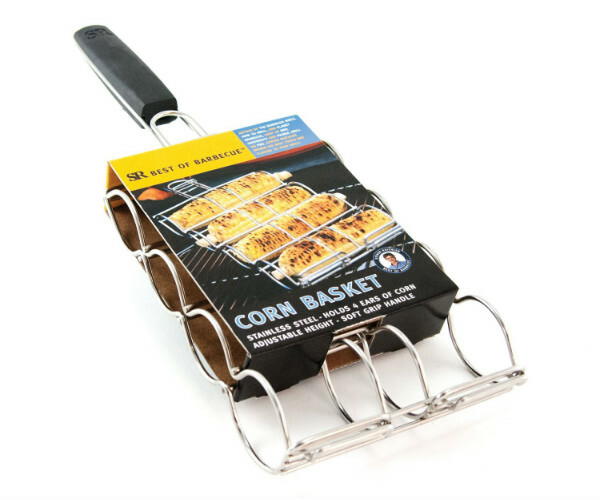 This corn basket works great on a conventional grill and for grilling over a campfire. 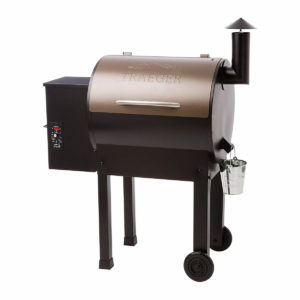 The patented stainless steel corn basket with TPR handle features height adjustments to fit corn of any thickness and open sides to fit corn of any length. One rack holds four ears of corn.